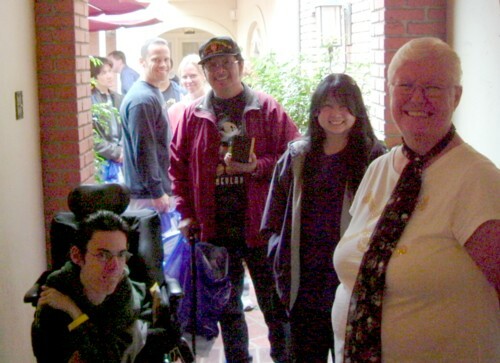 Disneyland, March 18, 2007: I was on hand for this special signing event which my brother Robert signed hundreds of the two new releases for the POTC 40th Anniversary. Bob was among a number of other artists who were invited to sign their art at the event. 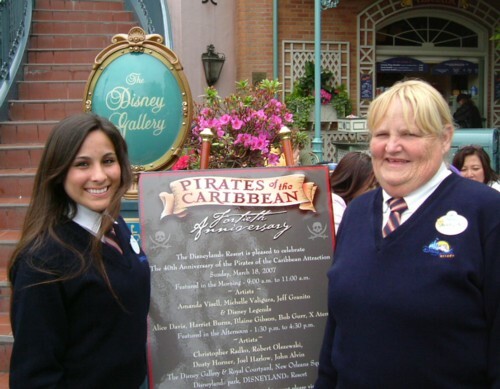 Disneyland paid tribute to many of the imagineers who created the POTC 40 years ago and honored those today who have contributed to the POTC art. 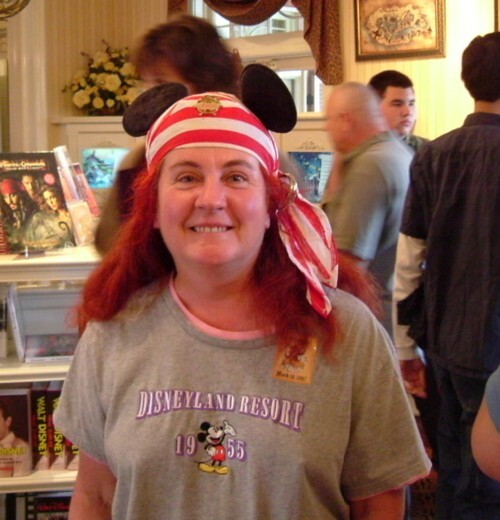 The event was held at the Disneyland Gallery which is upstairs of the POTC Attraction. Please click here to take you to our Collector's page where some of the photos I personally took are posted. 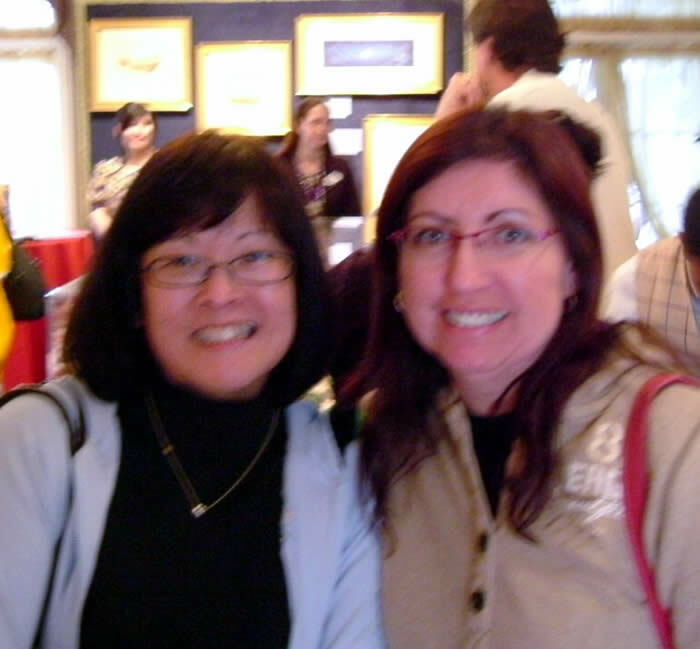 It was truly a blast to meet new collectors and talk with them; many of whom are now becoming familiar friends. 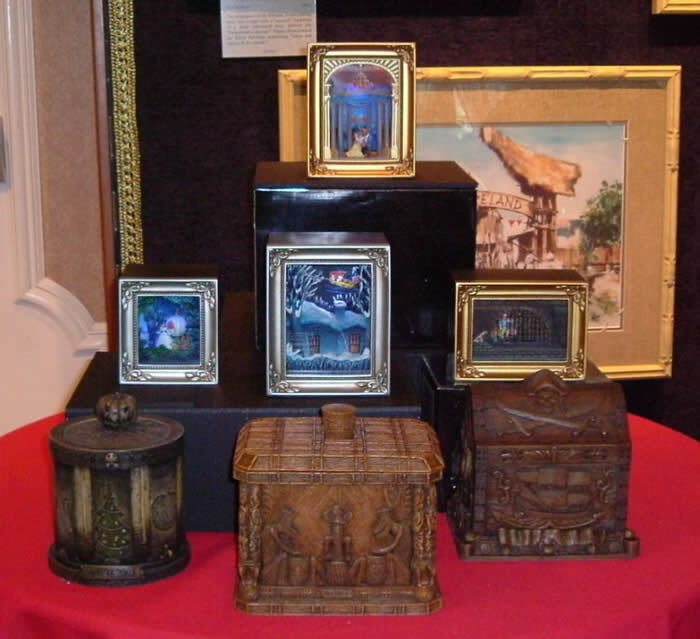 The two new releases Bob created for the event include the GALLERY OF LIGHT® (GOL) POTC "Jail Scene" and the HEIRLOOM BOX® "Treasure Chest." These are now available at Disneyland, or by mail order through www.disneygallery.com or calling 800.362.4533 or via e-mail at dl.delivears@disney.go.com. Both of these two product lines will be expanded to include many other scenes from Disney films. Nightmare Before Christmas HEIRLOOM BOX®. 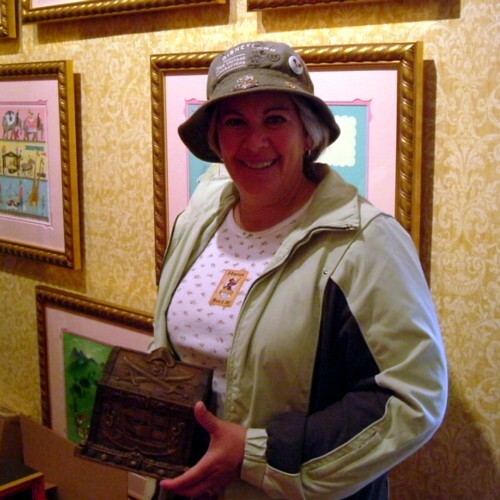 Enchanted Tiki Room HEIRLOOM BOX®. 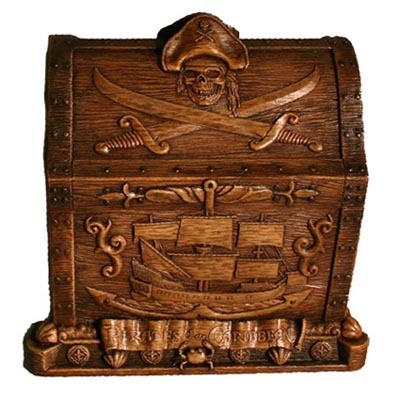 Pirates of the Caribbean Treasure Chest HEIRLOOM BOX®. 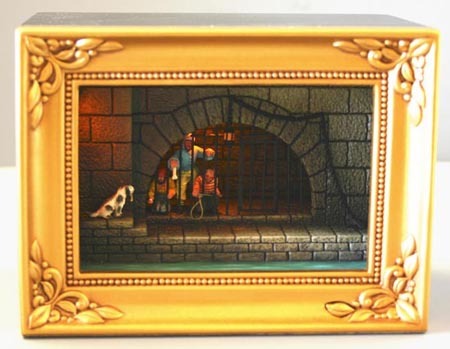 The GALLERY OF LIGHT® offers collectors not only a capture of the remarkable full scale and very popular Disney "Jail Scene" experienced during the incredible POTC ride, but one that embraces the whole scene in a small space suitable for displaying on a wall, on a shelf, desk, or wherever. Bob and I discussed how to display these and one way is that the box can actually be inserted into the cavity of a wall between the studs and leaving only the ornate frame showing. 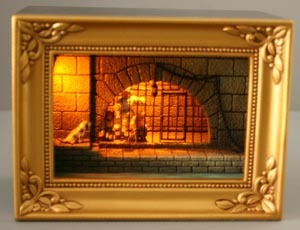 Also, I can imagine myself lying in my bed with only the light on is the GALLERY OF LIGHT® Jail Scene. They make a great "night light." As one falls asleep, the magic of that moment on the ride endures. Since I returned to my home in Virginia from my visit to California, I had to laugh at the number of emails from collectors who purchased the piece asking "Where is the light switch?" When I give them the answer, their humble reply includes an "lol" "Laughing out Loud" insertion or inserted an embarrassed smiley face. So, when your little one or you even have a hard time falling asleep, turn the light on the GALLERY OF LIGHT® box and enjoy the magic again. The new Heirloom Box® Collection offers collectors a great way to keep things organized. I use a similar piece of Bob's art on my desk and I toss business cards, keys, credit cards and the like in it. 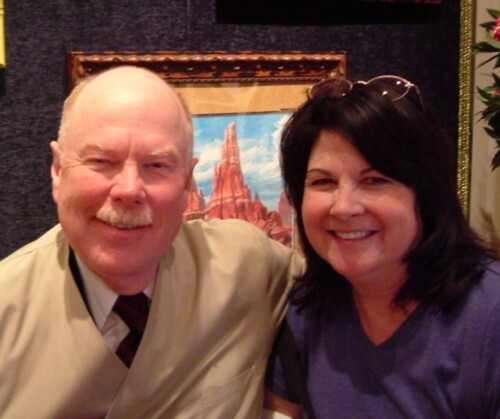 By the way, Bob's first similar product was produced in 1998 when he was selected for that year's distinguished alumni award by the Alumni at Indiana University at Pennsylvania (IUP). Click here for that historical story. These smiles started it all that day! It got even worse! I don't ever remember standing in any line was this much fun! 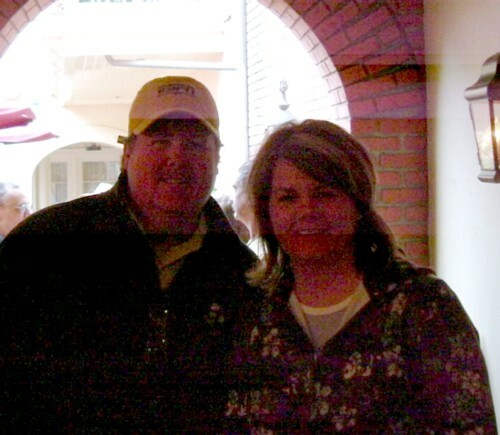 No wonder this Collector is smiling, Bob is giving her a hug! 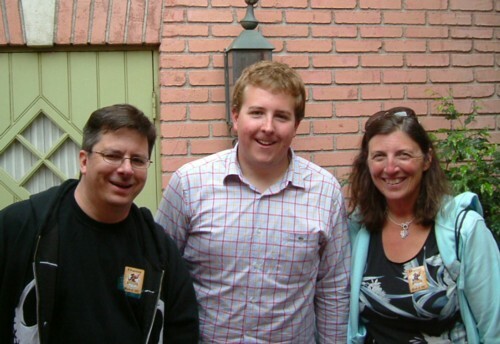 These were the first Collectors I encountered who were the first ones waiting for the doors to open! I caught this person buying the Heirloom Box Treasure Chest. She later claimed to be an "undercover collector." This is one avid Pirates and Olszewski Fan! I think she told me she was a Veterinarian or was it a Vegetarian? Sorry for this how this image turned out but these collector's smiles are there! How can one not pass up the chance to take a picture of these great smiles? 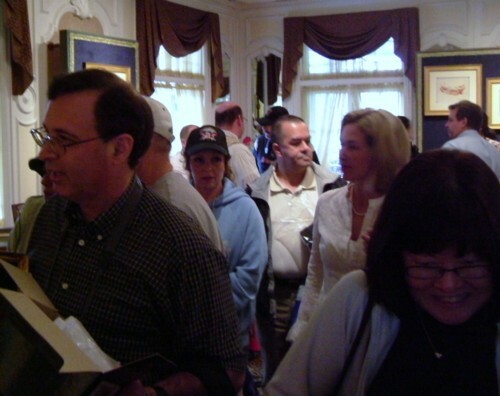 Collector's with their treasures waiting in line to get them signed by Bob.